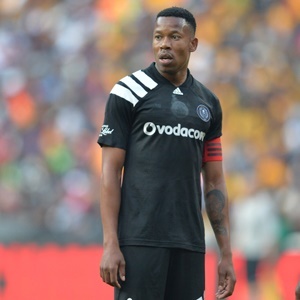 Cape Town - An own goal in the third minute of stoppage time gave Orlando Pirates a 1-0 victory over Bidvest Wits and also sent the Buccaneers to the top of the Absa Premiership standings on goal difference. Wits defender Keegan Ritchie was the unfortunate player to put the ball into his own net on the stroke of full-time as the hosts failed to deal with a Pirates free-kick. Both sides went into the game knowing a win would take them to the top of the table with an expectant crowd anticipating a blockbuster contest between two of the best teams in the league. However, the match failed to live up to expectations as both set of players fluffed their lines in a rather dreary contest. Wits started the brighter of the teams with Gabadinho Mhango and Cole Alexander shooting wide in the opening 15 minutes. Pirates failed to get any meaningful possession in the game and their first attempt on goal came after the half-hour mark but Augustine Mulenga shot high and wide. The second half was not much better than the opening stanza with both teams again huffing and puffing but ultimately failing to spark. If there was going to be a winner, luck certainly was going to play a big role and that is how it panned out as Richie got his head onto a cross into the box that Wits 'keeper Ricardo Goss could not do anything about. The win moves Pirates up to 44 points, level with Sundowns, but the Buccaneers have a superior goal difference although they have played a match more than the Brazilians. Wits stay third on the PSL table, three points behind the leaders.